One of the challenges of modern cloud application development is the management of deployment costs. Automated and semi-automated scaling, pay-per-use pricing, complex multi-factor billing models, and frequent changes in the market make predicting the actual costs of using a given (combination of) cloud services to host a given application so that it exhibits a given level of minimal performance (e.g., response time) difficult for developers. The primary contribution of MInCA will be an approach to model, predict and optimize the deployment costs of cloud applications, with a specific focus on (micro-)service-based applications. Central to our approach is the notion of a holistic cost model (HCM), which is a multi-view architectural model of the application that integrates modelling the dependencies between services, the deployment of the individual services onto cloud resources,and the application workload (e.g., what load is on what service at what times). We will use the HCM to foster developer awareness of the cost impact of their code changes (e.g., through appropriate visualizations in the Integrated Development Environment, IDE), to support What-If analysis (“What happens if the application gets 50% more users?”), and to enable application-wide deployment optimization (i.e., select optimal deployment options for each service depending on global state and available cloud services). CloudWave researches agile development and delivery of adaptive cloud services, which dynamically adjust to changes in their environment so as to optimise service quality and resource utilization. CloudWave will deliver (1) an open architecture and standards-based reference implementation of an advanced cloud software stack, with novel capabilities for adaptation across all cloud layers; and (2) tools and methods for agile development of reliable and adaptable cloud services, facilitated by the new stack. Our main interest in CloudWave lies in the idea of Feedback-Driven Development for cloud applications: an cloud-based software development approach, where developers exploit runtime analytics data to incrementally determine and evolve application features, extensions and optimizations, based on observed user needs. Audit 4 SOAs addresses one of the current major problems in Service-oriented Architectures (SOAs) development: testing support. In particular, the project is focused on a systematic testing and diagnosis approach of complex SOAs with the help of real world quality environments. 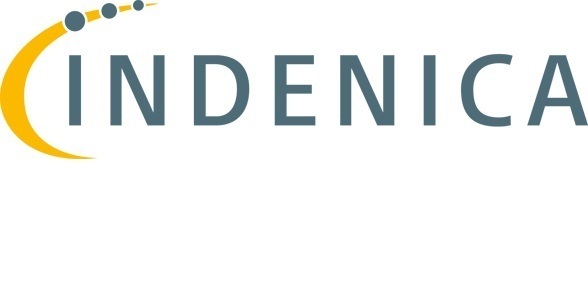 Indenica aims at a major contribution to the Future Internet by providing Virtual Service Platforms as a novel domain-specific approach to create service-based applications. In particular, this approach will ease the development of domain-specific, service-based applications by resolving the quality, interface, and technology fragmentation that can be observed in todays service platforms. The goal of the Madeira project was to provide novel technologies for a logically meshed Network Management System (NMS) that can handle dynamic behaviour of transient network elements. This should enable self-managed services to run on networks with increased numbers of network elements, greater heterogeneity and transience.